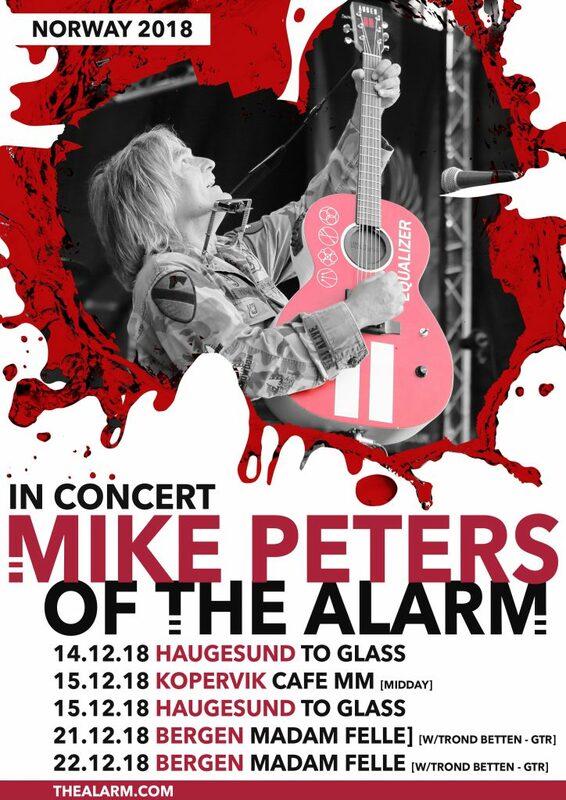 Mike Peters will be performing live in Norway this Winter with five special shows each taking place over two weekends in Haugesund, Kopervik and Bergen, all sea port cities located on the west coast of the country. 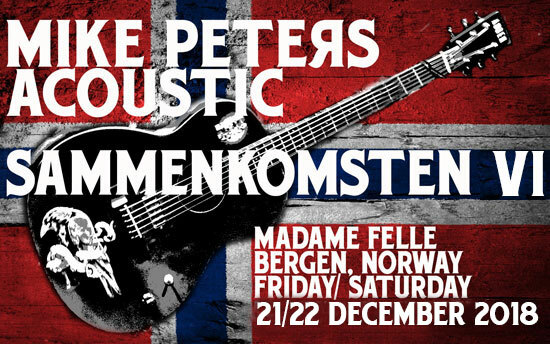 Mike Peters will return to Norway to play concerts at Haugesund on 14th and 15th December followed by a 6th annual visit to Madam Felle, Bergen, for Sammenkomsten VI on December 21st and 22nd (Friday / Saturday). Each concert will feature Mike Peters performing varied acoustic sets featuring songs that span all the eras of his songwriting career. The Madam Felle in Bergen is a fantastic music venue and has witnessed some amazing shows since Mike Peters first began playing Christmas shows there annually at the beginning of the decade. Last year, Mike was joined for his performance by Norwegian guitarist Trond Betten for two incredibly powerful sets of Alarm music and also members of Oslo band – Gentle Groove for a rocking all out electric finale. “I’ve always loved my end of year adventures to Norway, it’s become quite the tradition”, says Mike Peters. “It’s a beautiful country and some amazing and unexpected things have happened. Can’t wait to return agin in Decemeber and celebrate another phenomenal 12 months”. A lot of UK fans have also made the journey to be in Bergen, taking advantage of the low cost airlines that fly direct to Bergen Airport from the UK. Tickets are available here for both FRIDAY and SATURDAY.